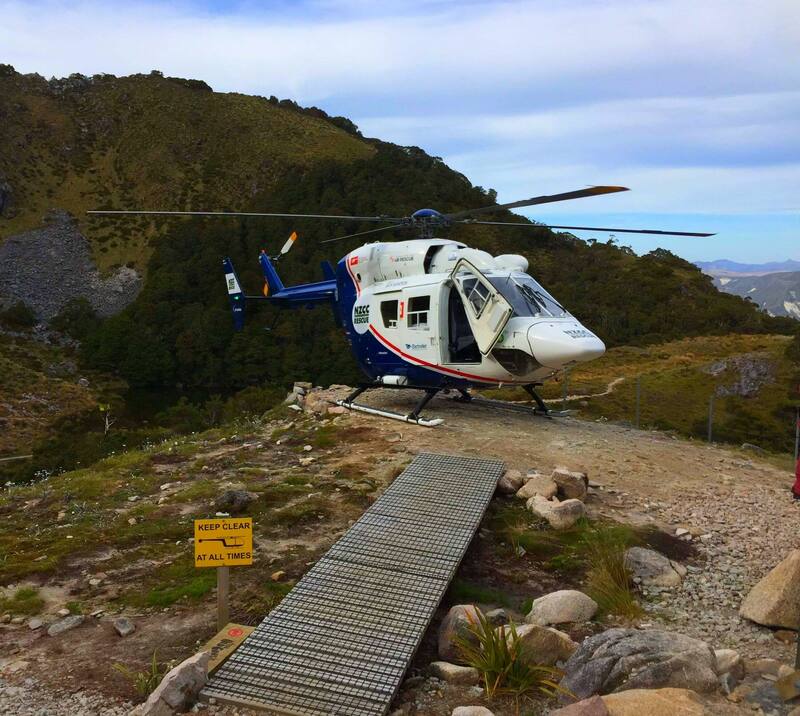 In December 2018, the West Coast NZCC Rescue Helicopter was dispatched to Ghost Lake Hut on the Old Ghost Road. A 48yo male had been cycling the famous route with friends when he fell off a steep embankment, tumbling down a very rocky hillside before finally coming to a stop before bluff-like terrain. He managed to save himself from the fall along with his bike, however his pack and other equipment he was carrying at the time went over and into dense vegetation below. When a friend came to assist they quickly assessed the gear irrecoverable and went about helping to get the patient and his bike back up to the track. It was found the patient had suffered a number of deep lacerations (particularly to his legs) having fallen over such rocky terrain and the decision was made to call emergency services using the limited cell coverage in that area. The NZCC Rescue Helicopter was dispatched. The group then made its way to Ghost Lake Hut a couple of kilometres along the track where the heli landed soon after utilising the designated hut helipad. The patient was treated on scene by attending paramedic Ian Harvey then airlifted to Nelson Hospital with moderate injuries. Thank you to our West Coast NZCC rescue crew for sharing this story!